Ronald K. Brown/Evidence, A Dance Company returns to BRIC House with a program of works that express love, joy and community connection. The mission of Evidence, A Dance Company is to promote understanding of the human experience in the African Diaspora through dance and storytelling and to provide sensory connections to history and tradition through music, movement, and spoken word, leading deeper into issues of spirituality, community responsibility and liberation. 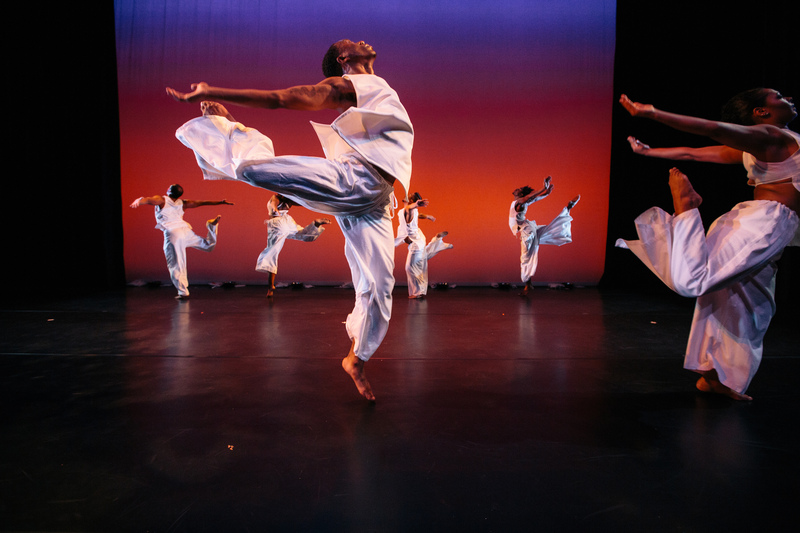 Founded by Ronald K. Brown in 1985 and based in Brooklyn, New York, Evidence focuses on the seamless integration of traditional African dance with contemporary choreography and spoken word. Through work, Evidence provides a unique view of human struggles, tragedies, and triumphs. Brown uses movement as a way to reinforce the importance of community in African American culture and to acquaint audiences with the beauty of traditional African forms and rhythms. He is an advocate for the growth of the African American dance community and is instrumental in encouraging young dancers to choreograph and to develop careers in dance. Brown’s choreography has been set on Alvin Ailey American Dance Theater, Ailey II, Cleo Parker Robinson Ensemble, Dayton Contemporary Dance Company, Jennifer Muller/The Works, Jeune Ballet d’Afrique Noire, Ko-Thi Dance Company, Philadanco and others. He choreographed Regina Taylor’s award-winning play, Crowns, and won an AUDELCO Award for his work on that production. Evidence now tours to some 25 communities in the United States and abroad. The company has traveled to Cuba, Brazil, England, France, Greece, Hungary, Ireland, Mexico, Senegal, Nigeria, South Africa, Japan and Canada to perform, teach master classes and conduct lecture/demonstrations for individuals of all ages. Evidence brings arts education and cultural connections to local communities that have historically lacked these experiences. Annually the company reaches an audience of more than 25,000.